However, every buyer has something to admire about this property. Many, who chose Jade Ocean often say that buying a condo there was the best decision they had ever made. Its aesthetic design and appeal will stun you. It has visually stunning exterior of the building and the appearance of this contemporary building is one of the things that will attract a number of potentially buyers to the property. What you will see inside the building will stun you even more! Inside of the building, you will find “smart home technology”. Residents of this building will have access to an in-home touch screen, which will enable you to contact the valet, concierge, control the home’s lighting, and find places to shop and even order food from a local grocery store. Residents here will also be able to download an app to their Smartphone or tablet. This will allow them to access variety of services even while they are away from the building. Living in Jade Ocean condo will give you a feel of living in the future. Find a range of fabulous amenities in the property. This property offers infinity edge pools, amazing three story lobby from the ocean side, so you’re always seeing the ocean when you enter the lobby. Residents of this building don’t need to worry about the security, because they will get 24/7 security, besides valets on duty round-the-clock and a private beach club which has cabanas, a café and even a splash deck for the little ones to enjoy. There are many more compelling features of this Jade Ocean Miami property which you will surely love. For instance, find in this building onside gym, a state of the art fitness center, which offers cardio equipment and weights. That means you will get the return on your investment. Top of all, the value that you will get will be enormously satisfying. However, it is the location that is one of the biggest and best reasons to choose a home at Jade Ocean Sunny Isles. Apart from being located in the heart of Sunny Isles, its short distance to Miami and only a quick drive north to Fort Lauderdale. 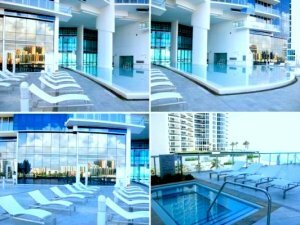 Living in this Jade Ocean Miami building will give you an impression of dual life – a resort like lifestyle on the beach and a vibrant city lifestyle in the center of best of the best Miami has to offer. These are just few of the reasons which may inspire you to buy a Jade Ocean Property. There are much more which you will discover once you visit it.